The Universal Notebook PC & LCD AC/DC Power Adapter is perfect for any person who owns a Notebook or LCD Monitor. The AC/DC power adapter fits all major brand Notebooks and LCD Monitors with its adjustable voltages and the universal power jacks. There are seven (7) different output voltages, 12, 15, 16, 18, 19, 20 and 21 VDC, for different models of notebooks & LCDs on the market. 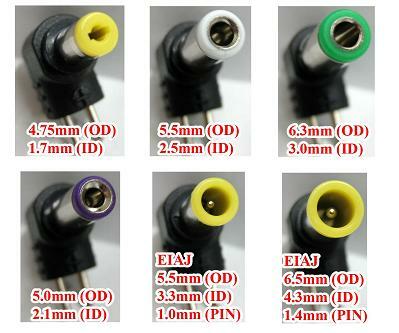 Simply adjust to the correct voltage of your notebook or LCD, and connect using one of the supplied six (6) connectors.